He motivates and inspires with timely and relevant messages that impact the lives of at-risk youth and student leaders. As a teacher trainer he will equip your teachers and administrators with the necessary tools to increase student achievement and help in retention. Joe Martin is a nationally known, award-winning speaker, respected university professor, author, and educational consultant. At the age of 24, Joe became the youngest faculty member ever hired to teach at a state university in the state of Florida. He also has the distinct honor of being the youngest professor at his institution to ever be nominated twice for the "Distinguished Teacher’s Award." Joe has addressed more than 750 organizations, associations, businesses, colleges and universities, helping over half a million students and staff members across the country achieve more, live and serve more passionately, and maximize their leadership potential. The Association for the Promotion of Campus Activities selected Joe as its national "College Speaker of the Year" and, Campus Activities Magazine also nominated him as "Speaker of the Year." Professionally, Joe has worked as a top sales trainer for a Fortune 500 company and as a public relations professional for both the state and federal government, including a position as Communications Director with the Florida Governor's Office. Joe is also the founder and president of "RealWorld University," an award-winning college success web site designed to help students meet the personal and professional challenges of college and life. And he is also the creator of NewTeacherUniversity.com - a web site designed to motivate, inform, and retain new and beginning teachers. Joe has successfully hosted a regional TV talk show, called "Student Reality," and he's the former host of the "Good Teachers Never Quit" radio talk show on WTAL 1450-AM in Tallahassee, Florida. He has made several guest appearances on both television and radio, and he's been featured in several newspapers and organizational newsletters across the country. Joe is also the author of nine books, including: "Tricks of the Grade," "Gifts and Handkerchiefs," "Stop Parenting & Start Coaching," "Let Your Leadership Speak," and several audio programs. He also serves as a guest columnist for three national publications: Student Leader Magazine, Education World, and The Teachers Gazette. 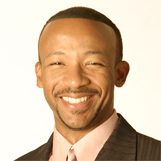 Currently, Joe serves as an educational consultant in the Tallahassee area. Youngest professor ever hired to teach at an accredited university in the state of Florida at age 24. President and Founder of RealWorld University, a success resource center on the internet. Designed to help college students succeed in school and in life. Serves as an visiting professor and educational consultant in the Tallahassee area. Owned and operated a successful retail clothing store at age 22. Worked as Communications Director for Community Service for the Florida Governor's Office under Lawton Chiles. Voted Outstanding Alumni Award Winner for achievement in business. Nominated twice for the "Distinguished Teacher's Award" at his college (the youngest ever nominated). Selected in "Who's Who Among America's Teachers." Selected in "Who's Who Among Business Professionals." Spoken for more than 750 businesses, organizations, and associations. Speaks on more than 50 college and university campuses a year. Recognized nationally as one of "America's Top Motivational Professors." Was voted APCA's "Campus Speaker of the Year." Nominated as Campus Activities Magazine's "Speaker of the Year." Has shared the same platform with top speakers such as Tavis Smiley (Host of PBS Talk Show), George Fraser (Best-Selling author of Success Runs in Our Race), and David Robinson (Former San Antonio Spurs Basketball Player and Olympic Hall of Famer). Has written more than 125 articles for more than 20 publications, including newspapers, magazines, organizational newsletters, and Internet Web sites. Former Radio Talk Show Host - Good Teachers Never Quit on WTAL 1450 AM in Tallahassee, Florida. Featured in more than 50 other print publications and organizational newsletters. Featured guest on more than 20 TV and radio programs across the country. "Very positive impact. Helped those in attendance realize how their actions affect students and the power they possess to guide and influences young peoples' lives… He is powerful. His comments are a call to action. He is funny and poignant. He will grab peoples' attention and through real life stories let them know the important role they can play - if they choose to do so." "Professional. First class. Customer focused."